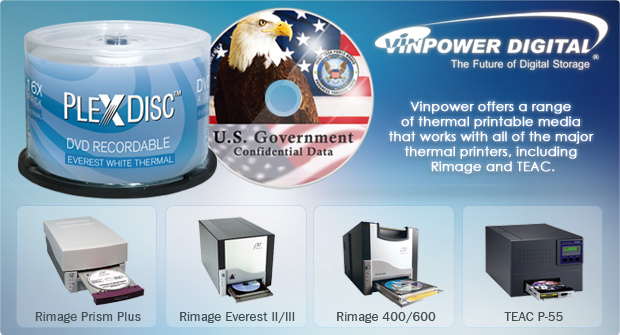 Vinpower offers a range of thermal printable media that works with all of the major thermal printers, including Rimage and TEAC. There aren’t too many medias on the market that can stack up to that tall order, especially for the larger capacity DVD+R DL and Blu-ray discs. Vinpower removes the headache looking for those perfect thermal printable discs. We offer nearly every media type, from CD to DVD to Blu-ray, with a thermal printable surface that works across all the major thermal printers at a much more affordable price point. Regardless of the type of printer youâ€™re working with, Vinpower’s thermal printable media provides professional high quality, glossy printed images that last, at an extremely aggressive price. So whatever your needs, Vinpower has the thermal printable media for you. Contact a Vinpower representative for more details. 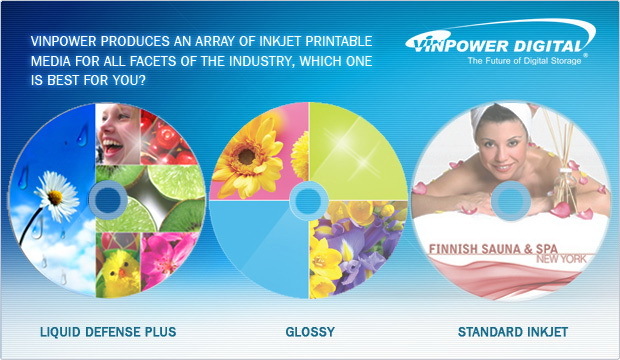 Vinpower produces an array of inkjet printable media for all facets of the industry, which one is best for you? So whatever your needs, Vinpower has the inkjet printable media for you. Contact a Vinpower representative for more details. How does that apply to Vinpower? When you make a 63 target USB duplicator, making sure the user plugs the USB Flash drives or USB connected external HDDâ€™s, will make the difference between a device with a long life span and one that gets damaged through user error. Plus think about the time it would save if you didnâ€™t have to constantly check the direction of your USB connection before you plugged in your device. This is another example of Vinpower staying ahead of the curve and looking into new and future technology so that it can be applied to Vinpowerâ€™s products before anyone else. So if youâ€™re looking for digital duplication equipment, Vinpower is your source for the most advanced and reliable systems on the market. 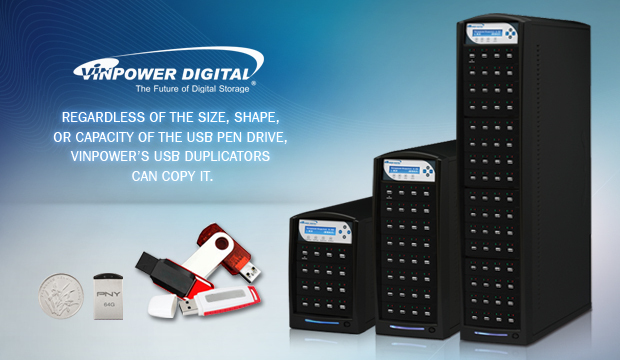 Regardless of the size, shape, or capacity of the USB Pen Drive, Vinpower’s USB Duplicators can copy it. Unlike optical discs, pen drives come in many shapes, sizes, and capacities. 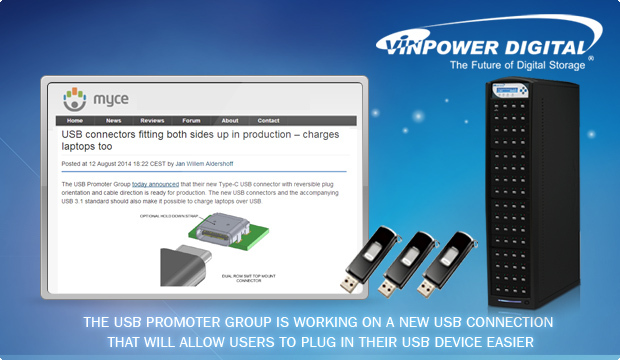 Fortunately, Vinpower takes that into consideration when we designed our USB duplicator. The Vinpower USBShark USB Duplicator series works with virtually any size USB pen drive and can copy asynchronously regardless of the size of the content. So if you need to transfer content from a USB pen drive to multiple other USB pen drives, or any flash device for that matter, Vinpower has the equipment that will make the task incredibly simple, quick, and reliable. 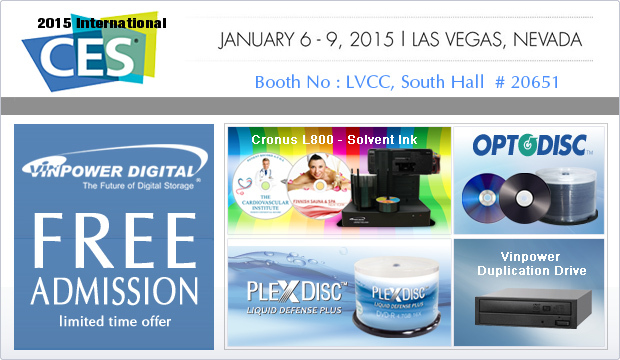 The Consumer Electronics Association is offering an early bird special for complimentary CES 2015 passes. While youâ€™re planning your visit, make sure you schedule time to stop by Vinpowerâ€™s booth located in the South Hall, booth # 20651 to see our latest line of duplicator hardware and media offerings. Until then, feel free to contact one of our regional offices about our current product line and where you can purchase for your location.